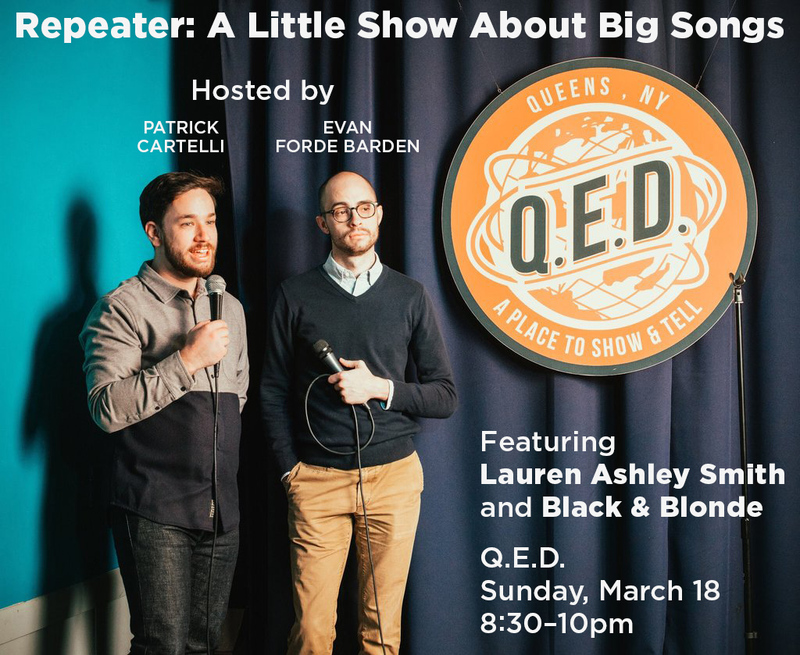 Repeater: A Little Show About Big Songs is happening on Sunday, March 18, 8:30–10pm at Q.E.D. Here is the event info. This month’s show features Lauren Ashley Smith and Black & Blonde. We will give two tickets to the first person to submit their email for the newsletter. Reply to this post, fill out the Contact form, or email hello@boast.nyc.